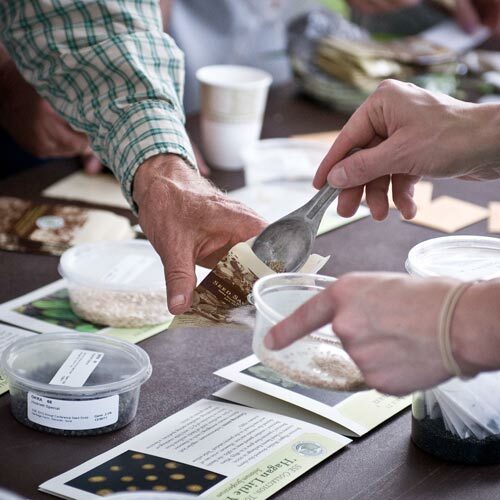 Learn how to grow, harvest, store, and save seed while discussing the importance of preserving crop diversity in your own backyard. Discover how to engage your community in seed stewardship through seed libraries, seed swaps, and community gardens. Join gardeners from all over the country for a weekend of seeds, stories, and great food. Students will graduate from the three-day seed school with the confidence to grow, harvest, store, and save seeds, engage with their communities through seed libraries, seed swaps, and gardens, and discuss the importance of preserving crop diversity. This annual event draws seed savers, gardeners, orchardists, and scholars from all around the country. The workshop is full of practical knowledge, hands-on activities, and plenty of time in the garden. All students will receive a copy of The Seed Garden: The Art and Practice of Seed Saving. Lunches provided on Friday, Saturday and Sunday. Light snacks will be served throughout the weekend. Heritage Farm is just outside Decorah, Iowa. Getting here is pretty straight-forward. We can offer full refunds up to seven days before the event. After that time, we are unable to refund your registration.